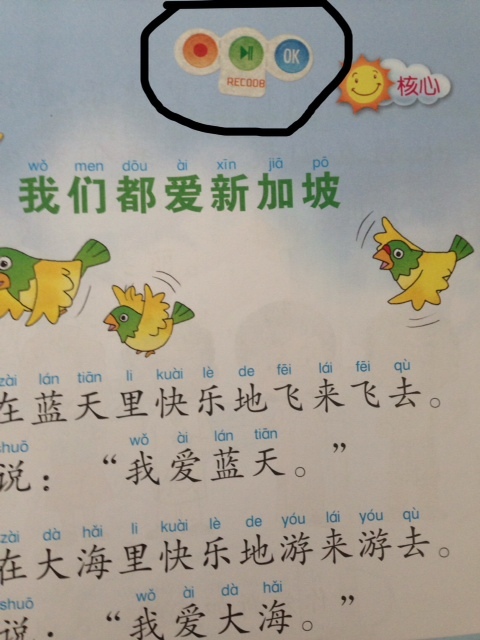 1. is not a miracle tool to teach Chinese. 1. 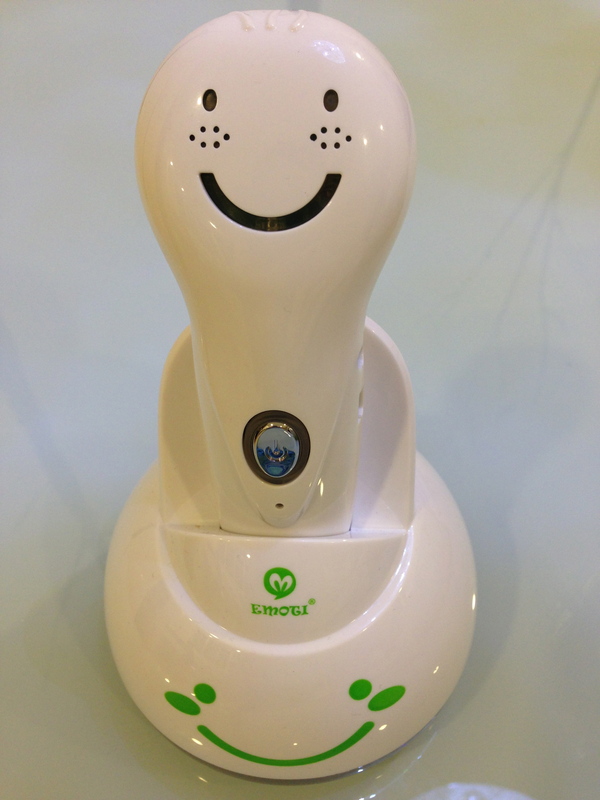 It can make teaching and learning Chinese a little more interesting and little easier. But it cannot take the place of actual teaching and involvement of the parent. 2. It can help your child to read books but it cannot instil the love of reading just like that. 3. It can help your child learn and improve in his Chinese but it cannot make Chinese become an easy subject in school, or help your child pass exams. My three children had different reactions towards the reading pen when I first bought it. #1 hardly touched it. #2 was interested but also hardly touched it (although he played with it more than #1). #3, until today, is still the only one who actually takes it out and uses it without prompting, without coaxing, without reminder, and he uses it often (as long as he remembers it is there or depending on his mood). What does this show? It shows that having a reading pen may not automatically cause your child to pick up a Chinese book to read. It may not cause your child to develop the love of reading Chinese books. Why does my #3 take to the reading pen so well? I attribute it to the fact that I have been constantly reading Chinese books to him since he was only 3. By doing that, he had early exposure to Chinese books and was not averse to Chinese. In fact, he enjoys Chinese books. Therefore, the pen becomes a real helper because it helps him to read books he cannot read. Through early reading of books to him, he already can understand Chinese well, so the reading pen is just someone else reading the stories to him. Suppose he cannot really understand Chinese, I do not think he would have taken to the pen so enthusiastically. That said, all is not lost if your child is not interested in Chinese books because it is better late than never to start reading out loud to him or reading together with him using the reading pen. If you have problem with reading Chinese yourself, the reading pen is especially useful because it does the reading for you. What you cannot expect is that shoving the pen and books at your kid will make him to love it and use it as if the pen is the latest handheld gaming devise. Chances are, you have to sit down together with your child and use the pen together. You may need to coax your child to use it. 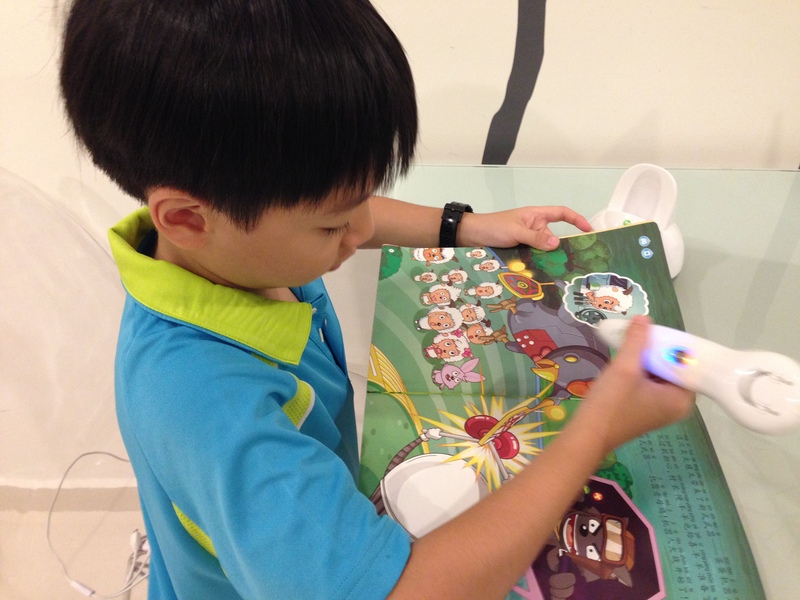 Apart from reading stories, the reading pen is also a teaching tool. There are books on Chinese character recognition that are pretty useful for teaching Chinese characters. There are many other books on learning that are useful if you are planning to use them to teach. I used the Chinese Character books to supplement what I was teaching #3 using 四五快读 and I also bought the Hanyu Pinyin books to teach #3 Hanyu Pinyin. Being a teaching tool, it is only useful if you use it to teach rather than hope that your child will learn on his own using the pen. By now, it is not news that I use the Emoti Talking Pen. Emoti also sells the stickers with the recording icons. Lately I have been using the stickers on #3’s textbooks to encourage him to read the text by recording his own reading and hearing his reading after that. I just thought it would be a fun thing for him to do. He does need to practise his reading so this makes it a bit more interesting. Of course, the same can be done for any books and stories that are not Emoti books. This means you can actually use the Emoti pen for English (or any other languages) books! Just that you have to do your own reading and recording. So this sticker thing is really cool, I think. Emoti also comes with a memo book. It’s a card “book” with several of those recording icons. The idea is that you can use the ‘book’ as a voice memo recorder. Cute idea but not something the kids will really use. As an audio book device, the Pen is limited in its functionality compared to your audio player. First of all, audiobooks are books in audio form. You can borrow audiobook CDs from the National Library or buy them from shops and online shops. For us, we have both Chinese and English audiobooks and we converted them to MP3 and stored them in a dedicated audiobook MP3 player. The kids, because they do not watch TV, will play the audiobooks from the MP3 player to listen to the stories when they are bored, or play the stories in the background while they play toys. They also play the audiobooks at bedtime in place of bedtime reading. The Emoti Pen can play a story in its entirety just like audiobook CDs. But it can only play one book at a time. After it is done with the one book, you have to re-activate it to play another book. If one book is all you need then it is a good audiobook player. But if you want something that continues to play from one track to another, from one storybook to another, then a dedicated audio player, specifically an MP3 player, will serve you better. hi , my son is in P1. any recommendations for a dictionary to get him started? Are you looking for a Chinese or English dictionary? I am going to assume you are asking about Chinese dictionary. I cannot remember what I bought for #1 when he was in lower primary school. I believe it could be something published by Learner’s. Obviously, we don’t have the dictionaries anymore because we have since changed to others, and e-dictionaries (which are MOE approved and they will use in exams). The best kind, in my opinion, would be those with a long list of 词 under each character (字) because most of the times, the kids want to find out the meaning of 词 that they come across and not so much the meaning of individual characters (字). The best would be actually a Chinese-English dictionary because most of our kids will have a problem understanding the explanation written in Chinese. So it is helpful if the explanations are in English instead. For lower primary level, it would be a bonus if the dictionary also comes with stroke sequence for each character (字), which the Learner’s one I bought previously had. Right now, what I have is 新世纪汉英大词典 published by 外语教学与研究出版社 （otherwise known as 外研社). It is a full size dictionary so could be a bit daunting for lower primary students to use. But it will definitely be good enough to last a long, long time. If you buy a dictionary specifically for lower level students, chances are you will need to buy something that is ‘full version’ later on because the simple versions are usually limited in the words they contain.